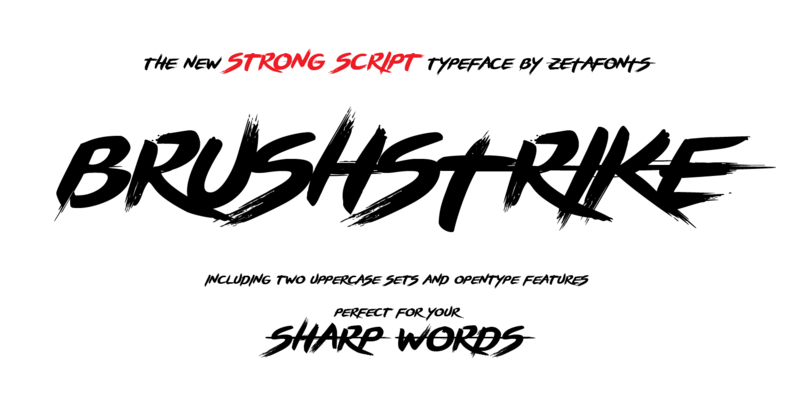 The Brush Strike Family is an exercise in dynamic, gestural brush type design by Francesco Canovaro. The typeface contains no lowercase set, but it doubles the uppercase with a strikethrough alternate set to be used for dynamic logo design and unusual word highlighting. 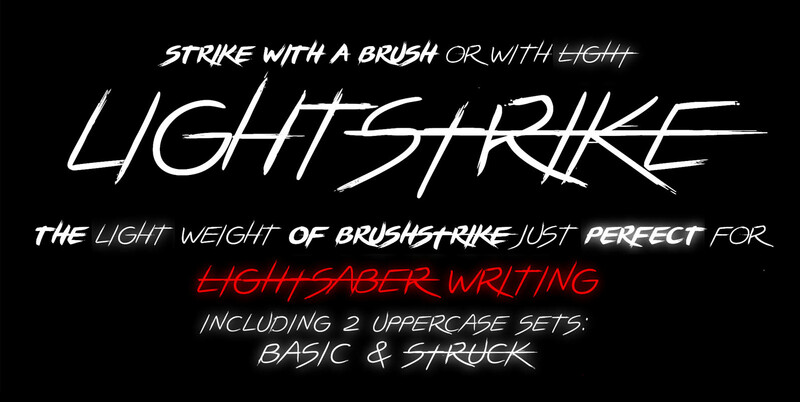 Two weights are avalaible with consistent design: the light weight (Brushstrike Light aka Lightstrike) can work togheter with the heavier regular weight but can also be used in white on dark background for light effects.